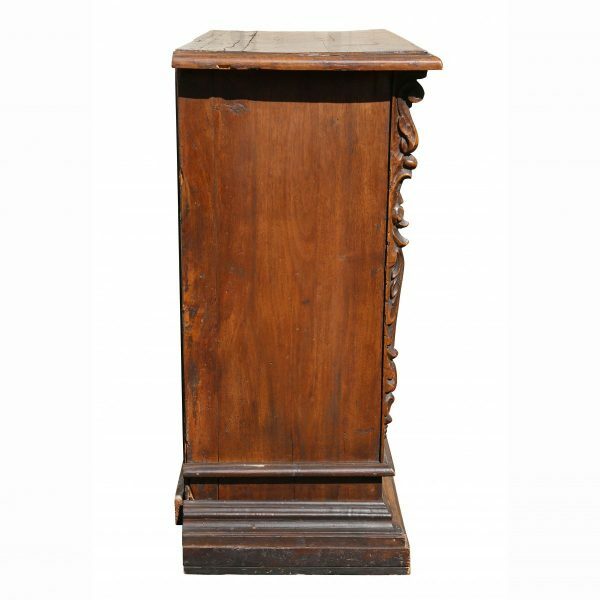 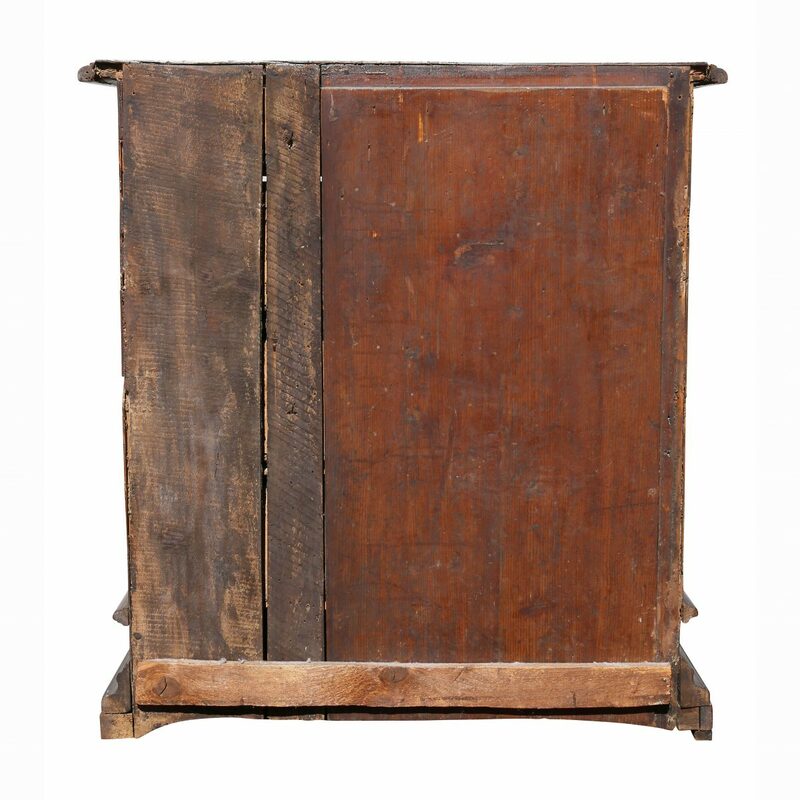 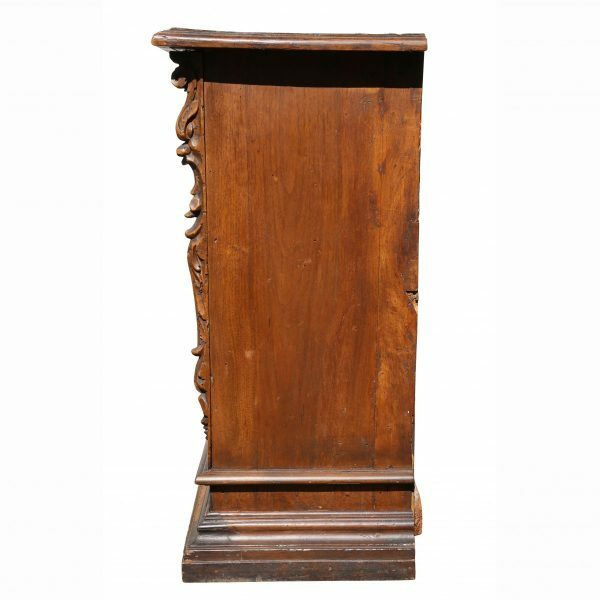 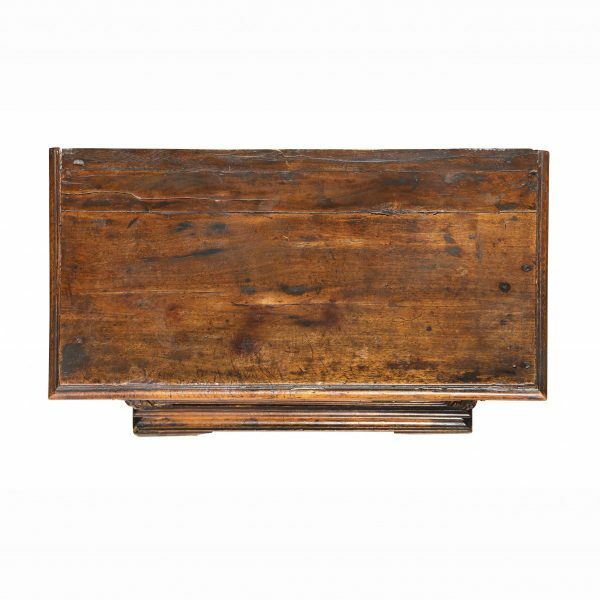 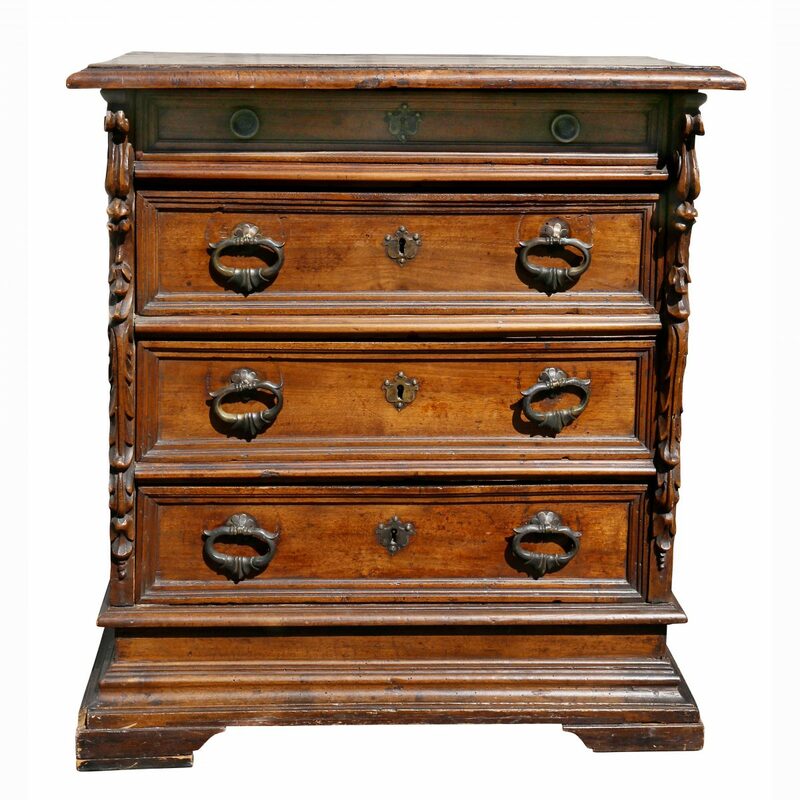 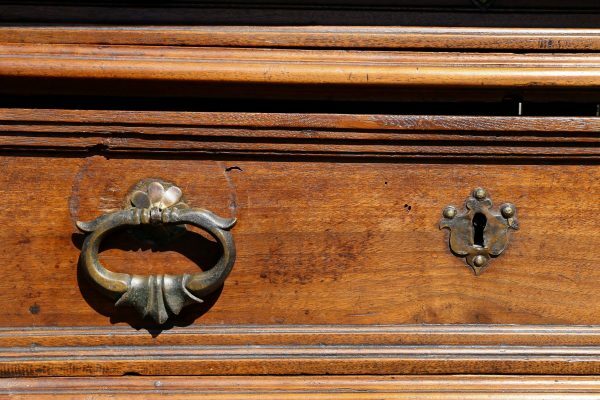 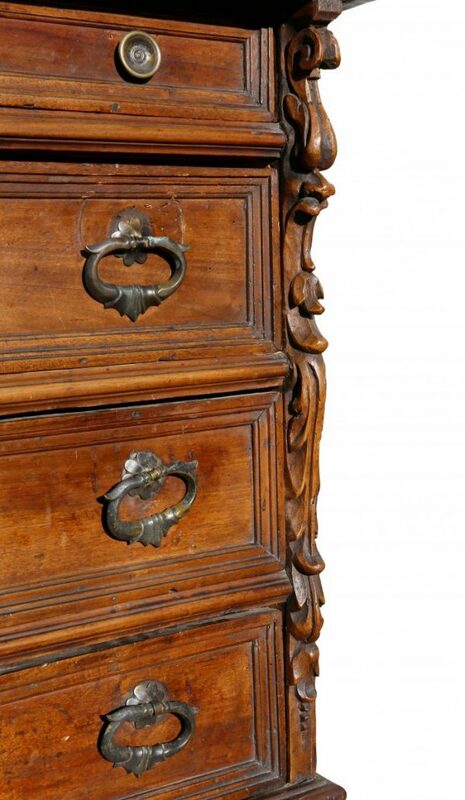 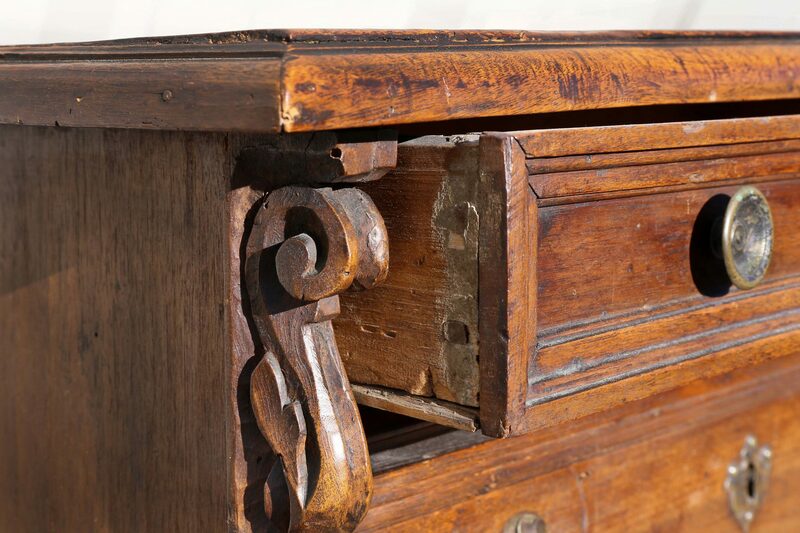 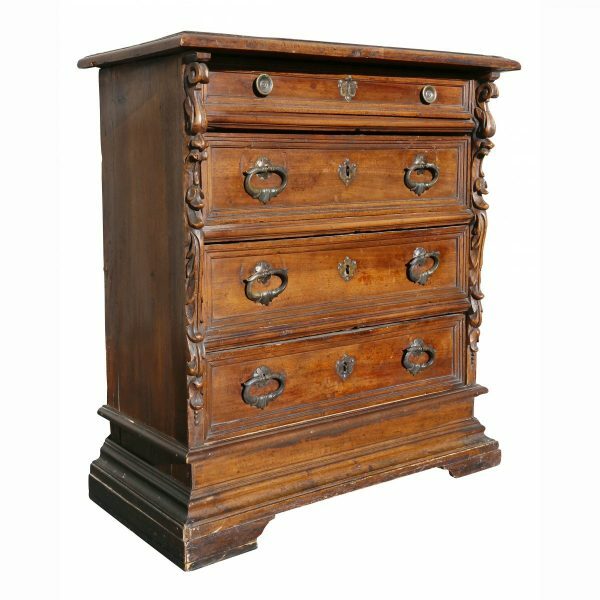 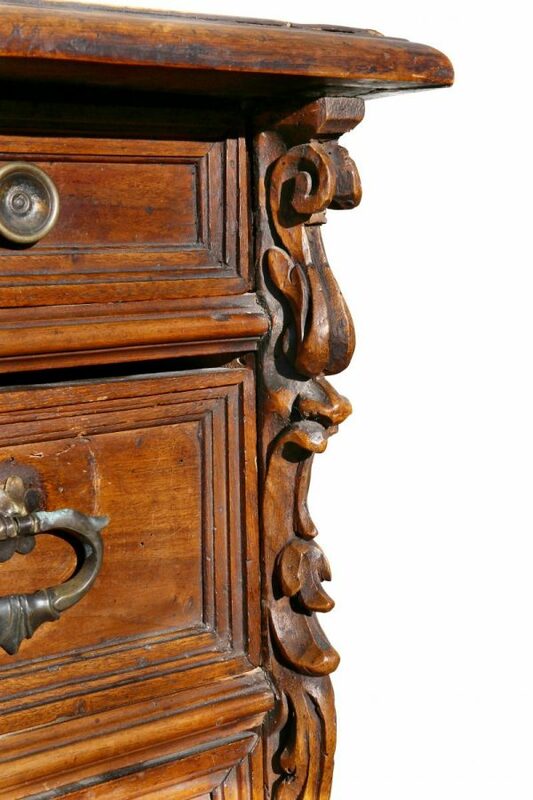 Rectangular top over four drawers flanked by carved decoration, raised on bracket feet. In good condition. H 36.25 in. 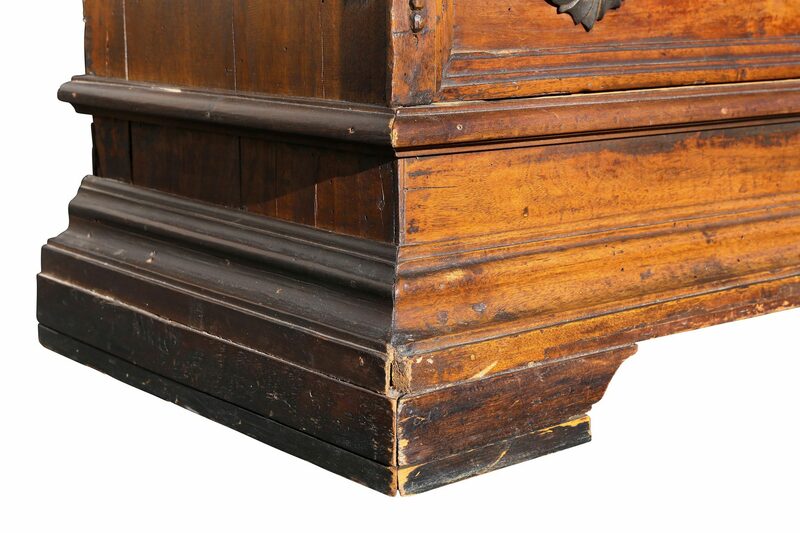 x W 32.63 in. x D 16.5 in.